Country Kitchen Hog Roasts is a professional catering company with over 15 years experience. Country Kitchen Hog Roasts is committed to providing the best possible goods, produced local to our base. Our food is prepared using traditional recipes handed down over many years but that transfer to modern tastes and lifestyles extremely well. Our philosophy is simple. We are pleased to serve you, we will be unobtrusive at your function, yet provide you with the ambience that fresh roasting gives complemented by a totally friendly service that will leave your guests amazed at what you have given them. Public liability insurance carried for our business. Country Kitchen Hog Roasts is a professional catering company with over 15 years experience. We accept BACS payment and most credit and debit cards. 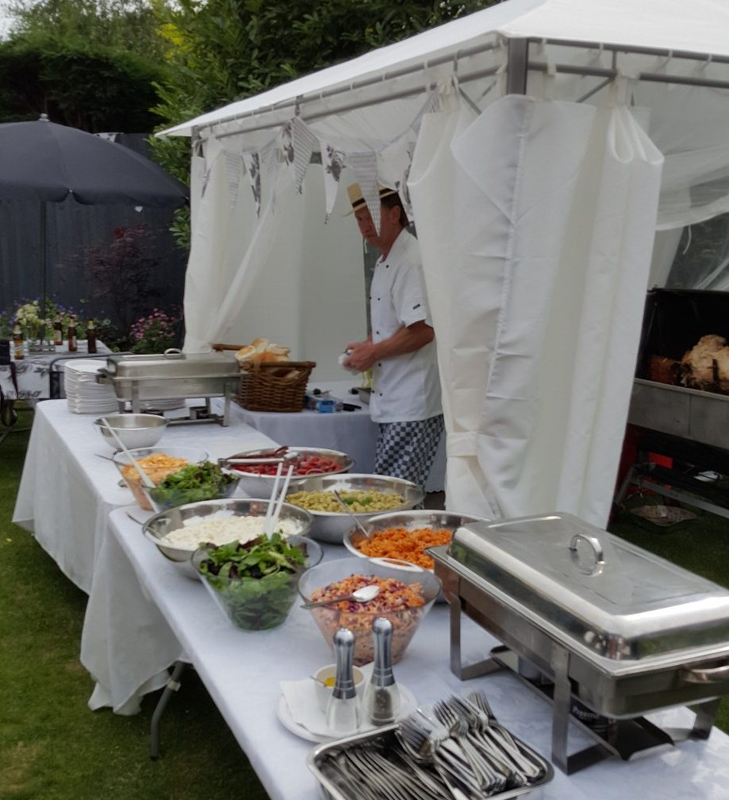 We provide hog roasting and catering services throughout the UK.